The Early Archaic Period is little understood in the far Northeast(New York and New England). For many decades the one certain diagnostic Early Archaic style have been the various bifurcate base types. However, early side notched, which may or may not be related to or influenced by Coe's Hardaway Side Notched and Hardaway-Dlaton are found in the Northeast, as are early corner notched(Kirk Corner Notch). Although this is known to be the case, the fact remains that in the far Northeast, the Paleo Period is in fact better understood then the Earliest Archaic Period. 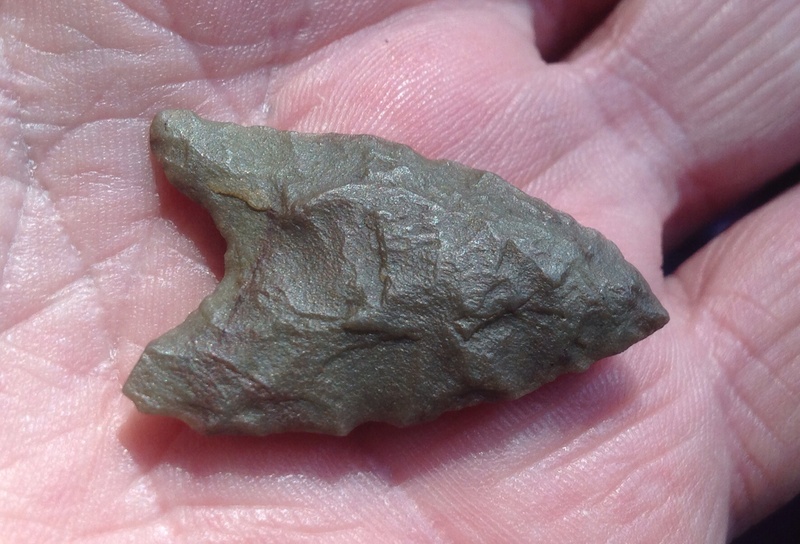 In the Southeast, the Early Archaic is much better understood, thanks in large part to Coe's work establishing an Early Archaic point sequence in North Carolina. equating these isolated tools with the well-defined types to the south (Snow 1980: 163-166; Moeller 1984). 272-273). Slightly younger Piedmont Tradition sites are more common and more easily characterized. 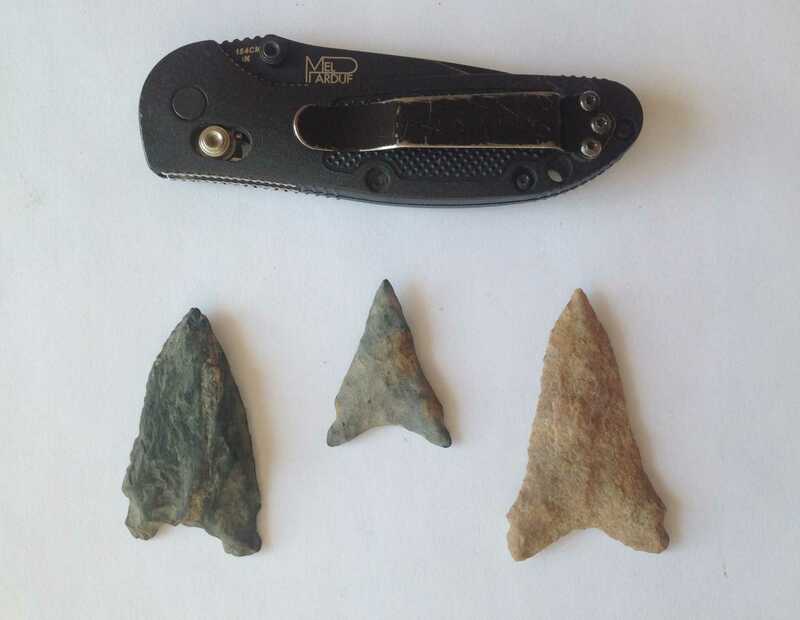 Sites dating between 8600 and 7800 BP typically contain relatively numerous expedient stone tools,"
It is apparent that not all researchers working in the northeast are comfortable using Coe's type name Hardaway Side Notch for early side notches in the Northeast. Nonetheless, the type name is often used. In the revised edition of his 2008 New England typology, the late Jeff Boudreau of the Massachusetts Archaeological Society created an entry for Hardaway Side Notch in which he illustrated the 15 examples from New England that he was aware of to that point in time. They are extremely rare in New England. The example shown closest to Coe's Hardaway Side Notch would easily pass as just that if found in North Carlolina. Other examples shown were more remindful, more in the nature of hints, by virtue of deeply concave bases, re curved into delicate ears slightly upturned, of Hardaway Side Notch. Not difficult to see why some do prefer Hardaway-Like or simply Early Side Notch until a formal name is erected for this early Northeastern style. Whether or not influenced by the Hardaway tradition further south, these points are the origin of the side notch tradition in the Northeast. Last edited by CMD; 04-16-2017, 03:37 PM. "As research proceeds the bifurcates continue to dominate regional traces of the Early Archaic throughout the Northeast.....Pre-bifurcate occupations have proved especially elusive. Such early types as Hardaway, Kirk Corner Notched, Kirk Stemmed, Palmer and Eva are rare indeed in surface collections." In his 2008 "A New England Typology of Native American Projectile Points", the late Jeff Boudreau included illustrations of what he chose to call Hardaway Side Notched points. For the most parts such points display a triangular blade with shallow side notches, a deeply concave base that tends to recurve toward the lower lateral margins, giving the ears a slight flaring outward appearance. One of the types illustrated by Jeff would easily pass as a Hardaway Side Notched if found in the type region of North Carolina. The following three points were included in Jeff's revised typology on his Hardaway page. That revised edition has not been published as yet. All of the above specimens were seen by Dr. Richard "Mike" Gramly as well, who also referred to them as Hardaways. I believe these points do deserve a name of their own, but until a formal name is erected, many researchers in the Northeast will continue to refer to them as Hardaway, although they are likely using that as a short way of really saying Hardaway-Like or Hardaway analogue. When examining photos of the 15 New England examples of Early Side Notched known to Boudreau, it is obvious that we are looking at a distinct type that differs in both the depth of basal concavity and the style and angle of ears present then points in the later Brewerton series from the Late Archaic. Unfortunately, I cannot reproduce Boudreau's photo plate here due to copyright restrictions. It is hoped the revised edition will be one day published. The examples shown here do not demonstrate the range well. The 3 shown together are 3 of the 15 Jeff was aware of, some of those 15 examples more closely resemble Hardaway points from the type region then others, but the unpublished plate shows the range better, as well as the consistencies of type, whatever it should be called. That the type name "Hardaway" has been applied to these points to a somewhat endemic degree may be seen as a temporary situation eventually. This entry is necessarily least certain given the relative murkiness of the Early Archaic in the Northeast. Looking at this chart, we can see that Early Side Notched horizon appeared in the Northeast just a few hundred years following their appearance in the Southeast. This makes all the sense in the world if we assume a south-north passage of ideas or technology. Certain of the examples from New England are certainly suggestive of a genetic relationship with Early Side Notch points, like Hardaway, from south of the region.